Hair is typically one of the first things someone notices about you. While not referencing your fauxhawk or mullet, hair that is actually unwanted is just as bad as hair that's unglamorous. For women, unwanted hair is an unfortunate fact of life kept under the rug and in pinky-swears across salons. Tweezed, shaved, waxed, and tortured, like James Bond, we're good at keeping sensitive secrets. It's no wonder then that a new form of hair removal comes in an unorthodox manner. 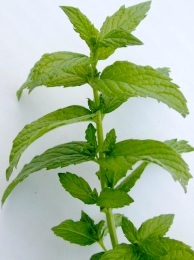 Perhaps the latest 'gadget' from Q, spearmint tea has been tied to anti-follicular action. By drinking two cups of spearmint tea a day, it reduces the production of testosterone and increases feminine hormones, which in turn can cut back on your unsightly self.